An inspirational story of what truly matters in life. What would you do to inherit a million dollars? Would you be willing to change your life? 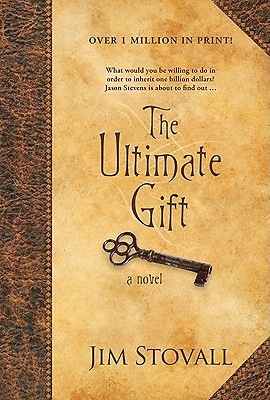 Jason Stevens is about to find out in Jim Stovall's The Ultimate Gift. What Stevens does give Jason leads to The Ultimate Gift. Young and old will take this timeless motivational story to heart.